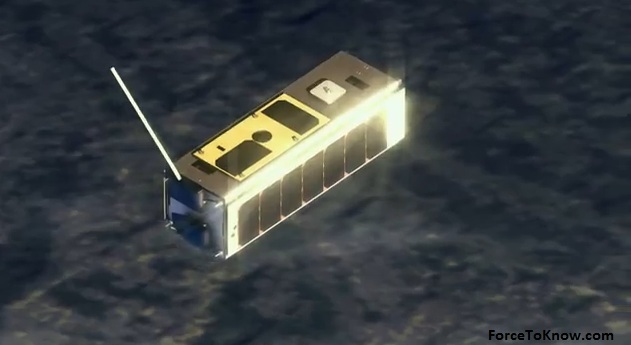 Limited (SSTL) have created the first nanosatellite controlled by Google Nexus One. Very soon, on February 25, will be launched satellite STRaND-1 (Surrey Training, Research and Nanosatellite Demonstrator), the management of which will be controlled by Google Nexus One.The development of satellite STRaND-1 took about three months, it is the most compact satellite in the world, its weight is 4 kg, and height of a total of 30 cm. He belongs to a special class of satellites, known as nanosatellite, the mass of which varies from 1 to 10 kg. The idea is that the smartphone is already contains all that is necessary companion: a camera, a radio, an accelerometer, a processor. Taken for a basis of a smartphone is the most common model of the Nexus One Android. According to developers, the only thing he lacks is the solar panels and the engine. Lead engineer Dr. Chris Bridges said «We just took the original smartphone, connected it to the USB, put inside the satellite». In addition to the smartphone satellite STRaND-1 will be equipped with a powerful new computer based on Linux. His task will be to manage the satellite during the first phase of the mission. Then, during the second phase of the mission control will be implemented by smartphone. Currently, scientists are investigating how the space environment can affect the operation of smartphone. Launch is planned from the space station Satish Dhawan Space Centre on February 25. The satellite will be launched with the help of Indian rocket for the withdrawal of satellites in polar orbit (PSLV – Polar Satellite Launch Vehicle). Scientists are planning to launch another satellite – STRaND-2 which will be controlled by less known device Kinect from Microsoft.